A vibrant brick red colour, mingling purple and brown at the rim – deceptive really. Opens with dusty oak and a delicious, driving core of rich dark fruits filling my nostrils, some redcurrants, leather and spice. Good ol’ Margaret River. There’s some savoury meaty/gamey elements, pencilly and cedary oak, mocha, and a denseness that smells chewy, if that is an acceptable depiction. As it opens up a bit you get a real choc-cherry character – more hallmark Margaret River. The palate still has some grip (imagining what it was like when it was youthful), although starting to show some softer, velvety licks. 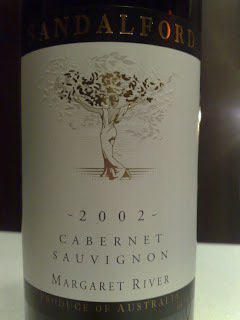 Blackberry and smoky/tarry oak dominate the palate, though seamlessly wedded. For a medium-bodied style it has some power, and grace, and shows its cool climate chops. The cool 2002 vintage adds extra aromatics – even the palate tastes of sweet perfumed goodness – and a mighty fine structure. Enjoyed over two nights, this wine showed hints of brilliance, but something was holding it back – couldn’t quite put my finger on it – almost nothing in it really, but I suspect the cork was having an impact on this particular bottle. 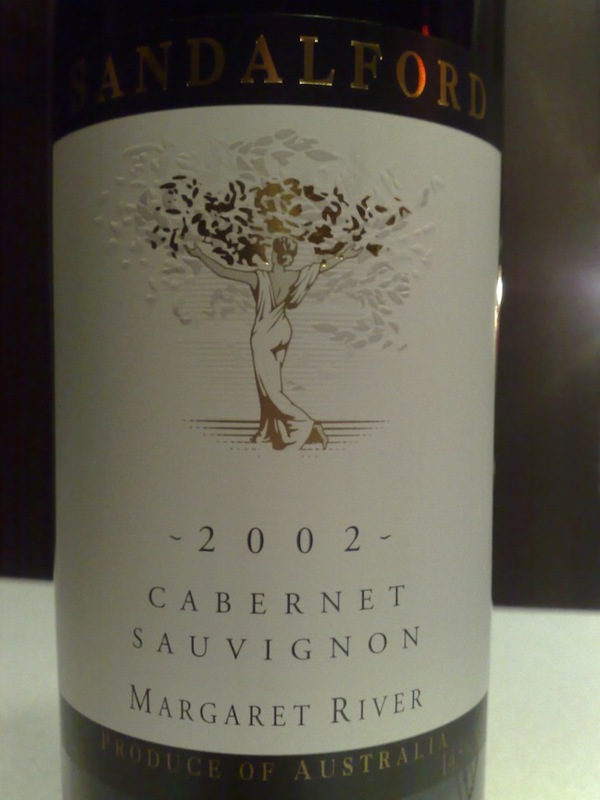 Again, I’m going to downplay it, because the wine was still an excellent Margaret River cab. Loved it. Value: A web search reveals this wine was released at $35, which is higher than I’d guessed, but not unreasonable. I taste wines as ‘blind’ as possible so I had no idea of pricing, or other factors for that matter. Producer: Sandalford Wines – www.sandalford.com.au. The Swan Valley vineyards were established in 1840, while plantings at the Margaret River site began in 1970. Owned by the Prendiville family since 1991. Winemaker – Paul Boulden. Site: Some of the oldest Margaret River vines – 30 years in 2002 – nestled in the famed Wilyabrup valley. Vintage: Cool and dry and late. A beauty if you’re chasing age and structure. Some very fines wine were made, although many were sleepers. Copyright winefire 2011. Watermark theme. Powered by Blogger.